It’s hard to believe that it’s almost back-to-school time. That means that homework assignments are just around the corner. As the mother of three, I’ve learned over the years that for my children to succeed at doing homework I need to have the supplies required to complete the homework readily available. But just having the supplies is not enough, the homework supplies need to be organized so that they’re easy to find (and easy to put away). You know how I love organizing and saving money. 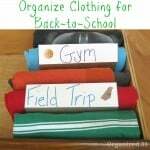 One of my favorite and free back-to-school organization tricks costs almost nothing and makes homework time so much easier. When homework time is easier, my children do better in school and everyone is much happier (and less stressed). 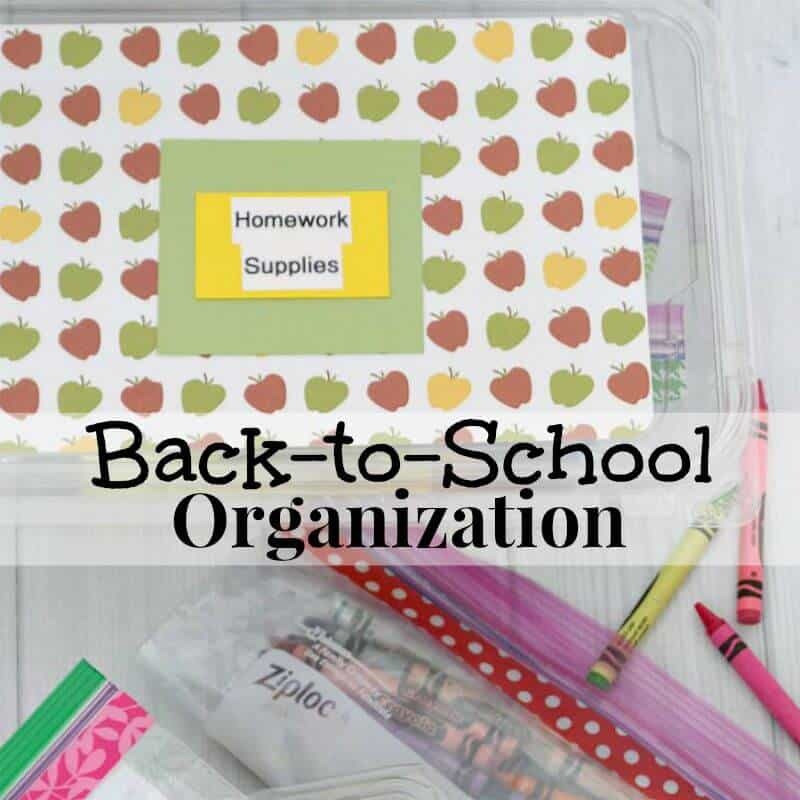 Back-to-school organization is critical because one of the biggest keys to success in homework and in school is being organized. 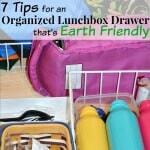 I’m a firm believer in keeping organization simple and low-cost while making sure that it is useful for my family. Since it is back-to-school time, I’m starting the year off right by organizing all our homework supplies now. Keeping all the necessary supplies in one place that is easily accessible for my children helps keep them focused on completing homework. If they knows right where to find exactly what they need, they won’t waste time searching for the item and getting distracted. I keep the supplies in small bins (repurposed plastic containers) so that my children can take the container to where they’re studying. 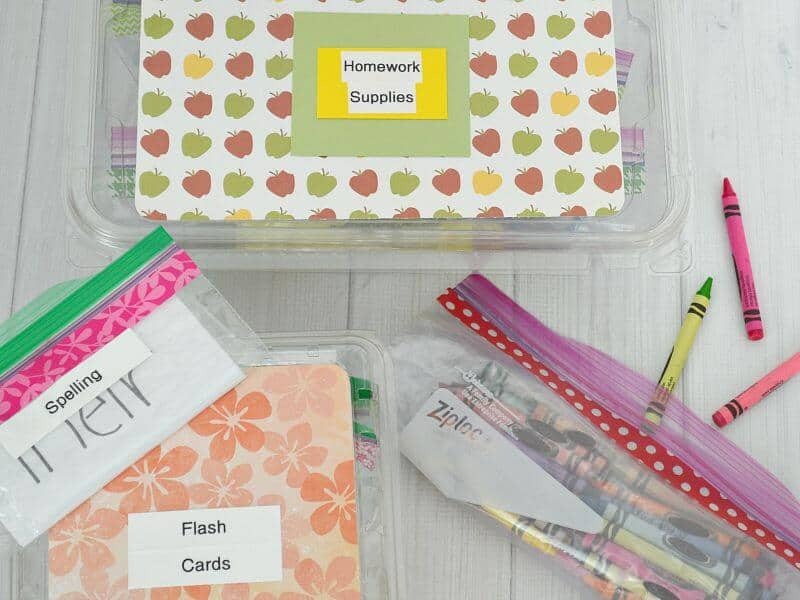 With three children, we need organized homework supplies that can easily be transported around the house to wherever each child is working. I keep each type of homework supply separately organized in zippered plastic bags. Using different sizes of bags keeps items neatly organized so that they’re easy to find and easy to put away. Keeping the organization system simple helps keep my children focused on homework rather than figuring out a complicated system. Putting the supplies away in a bag is so easy that there’s no reason for them not to be able to put everything back away when they’re done. Making the organization system easy, builds independence and encourages responsibility. I keep our homework supplies in repurposed berry and lettuce containers that cost me nothing (they were destined for the recycle bin before I rescued them). 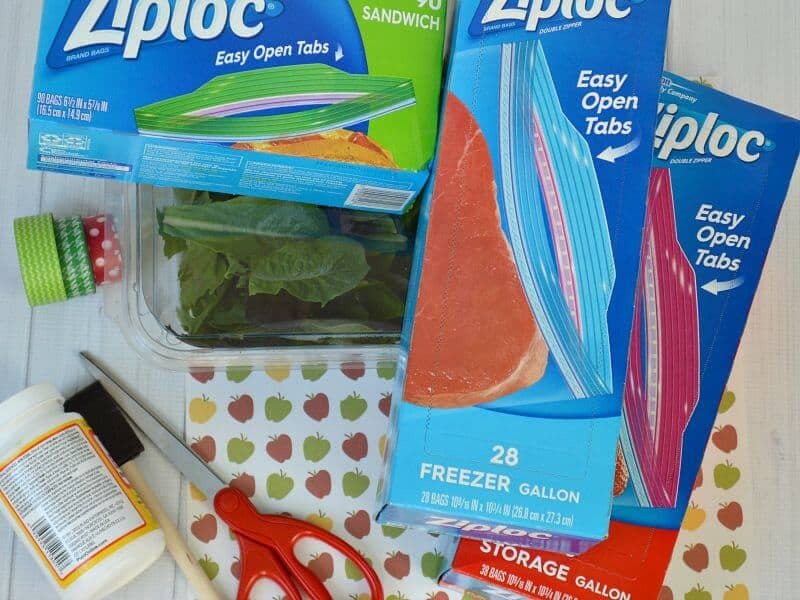 I use zippered bags that I already have on-hand (tell me I’m the not the only on with a every single type of zippered bag made) to organize the individual items. Since I already have the bags in my pantry, they cost me nothing or pennies (depending on your accounting method). To make homework a bit more interesting, I take a few minutes to decorate the zippered bags and containers to catch my children’s interests. I like to use bright, cheerful colors, their favorite sports team or favorite characters. Making the organization more interesting to my children makes it fun and more likely that my children will want to use them. 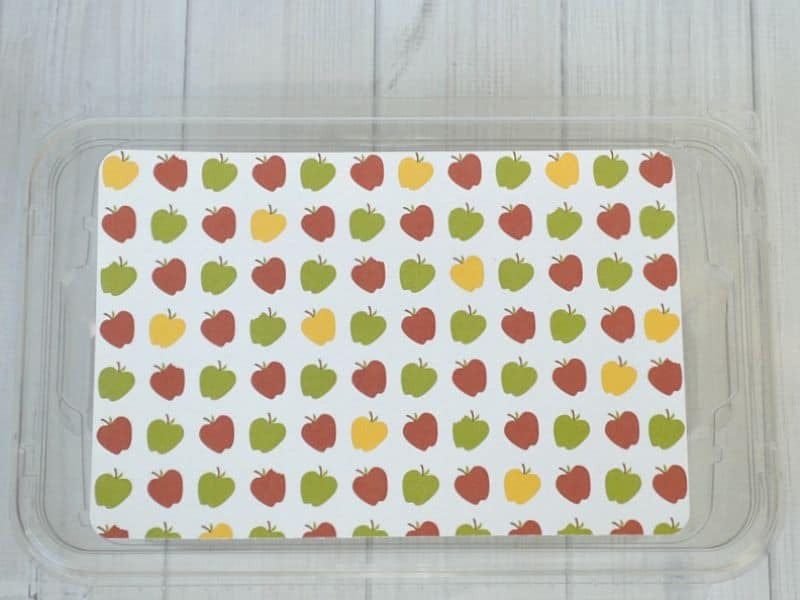 Measure the lid of your produce container and cut your paper to that size. I used a punch to round the corners, but that’s not necessary. 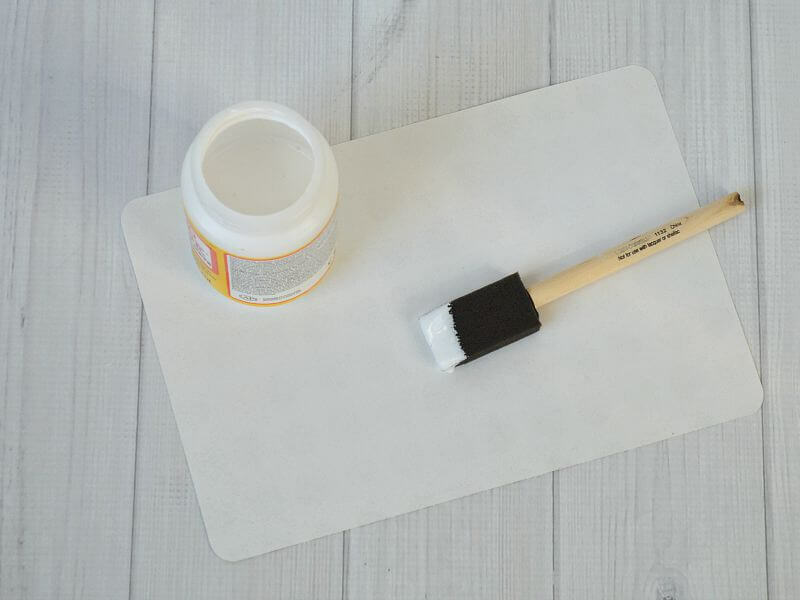 Add decoupage glue to the back of the decorative paper and position it on the lid of your container. Press the paper down well and wait about 20 minutes before adding a label. 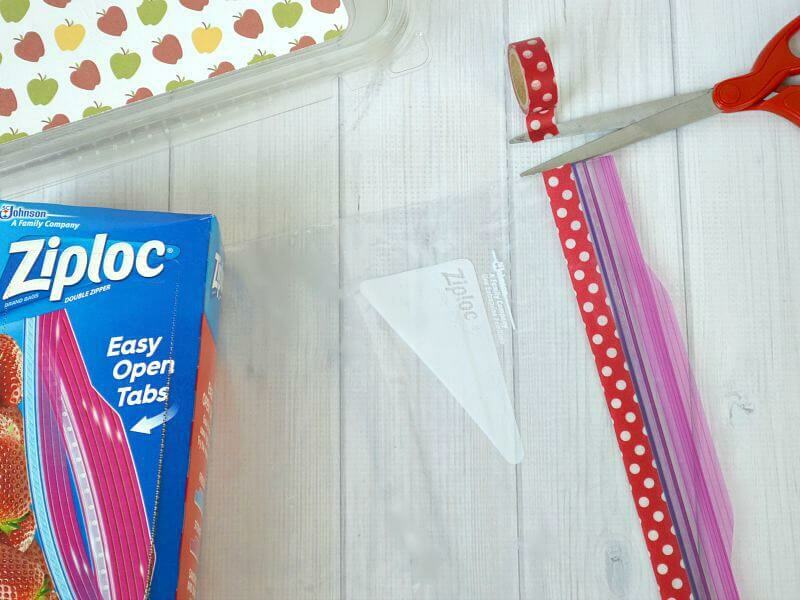 Use the time that the paper is drying on your storage container to decorate the zippered bags. 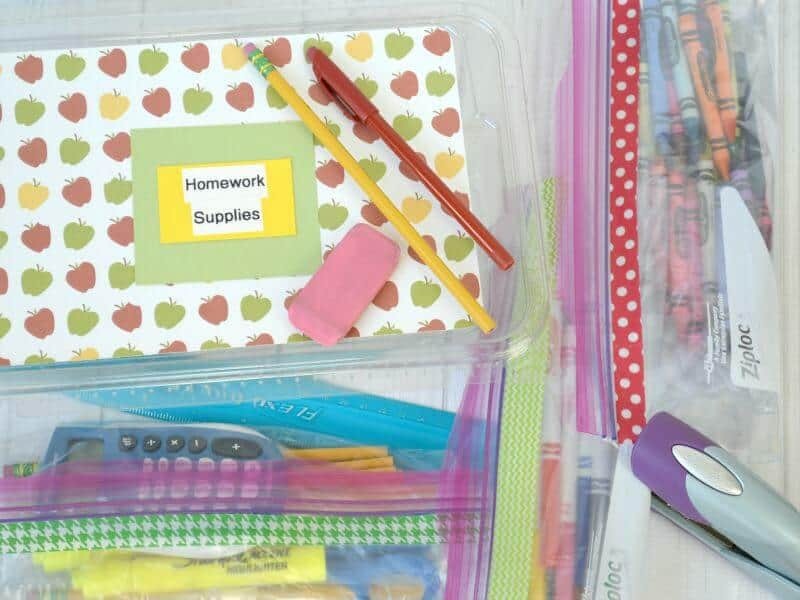 It’s so embarrassingly easy to decorate the bags and to stay organized this school year. 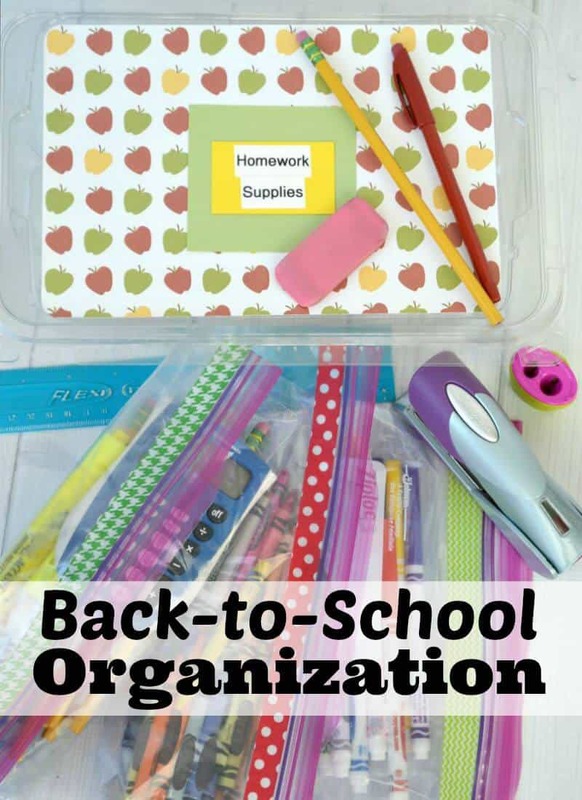 In about 30 minutes or less, you’ve created a free back-to-school organization system that has cost you nothing (or at most pennies). But best of all, it’s a system that will really help your family with homework organization and academic success. 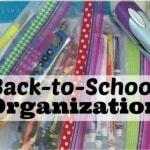 What tips for back-to-school organization do you have?